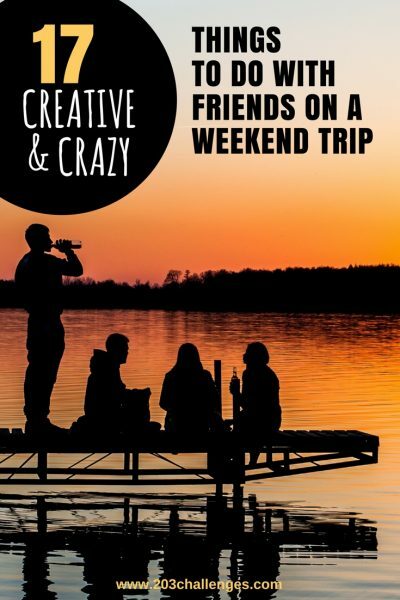 The best weekend trips with friends come with the craziest ideas. Here are a few suggestions on how to make this particular trip unforgettable, both backed by science and proven by us. It’s a proven fact that music tends to remind us of the places we heard it for the first time. How to do it: If you’re going abroad, find the Top 40 most popular current songs as well as some evergreen classics. When you arrive, listen to a local radio station in the car or on your smartphone. Use song recognizing apps (like Shazam) to see the artist and the name of the songs you like on the local radio. Later they will bring you back to your trip. Set a budget and leave all the organization to a close friend. It could be a surprise – you simply receive an envelope with reservations, GPS coordinates, and a list of the necessary luggage. You can in turn organize the next trip for a friend. Get in your car and drive at night. Go to the beach or another beautiful place to watch the sunrise. Watch the sun coming up with friends. Have a picnic in the morning and then take a short nap on the blanket. Try everything, no exceptions – from cotton candy to a merry-go-round and shooting games. If you’re into rock climbing, take a friend to a beginner’s class. If you like skiing, invite a friend to the slopes for a weekend to show them the first moves. If you enjoy traveling alone, get on the train with a friend and sit in different compartments. When you arrive, each of you can see the city on their own for an hour (or two, or three). After that you can meet and discuss your separate experiences. Stephanie and John become Stefana and Johann in the Netherlands, then Stefania and Ion in Romania, and Stefania and Giovanni in Italy. The names could be completely different from your own. For example, after passing the border, Peter automatically becomes Stewart, Ana is now Martha – only the customs officers checking your passports will know the truth. If you’re camping or in the mountains, come up with funny scout names according to your personality – The Big Berry, The Quick Hatchet, The Eagle Eye, etc. If someone in the group can’t come on the long-planned weekend trip… well, you’ve got nothing else to do but print their head on a piece of cardboard and glue it to a stick. Then take a picture of the friend who stayed behind (of their hapless printed head, that is) in front of every attraction and beer, and send them the pictures in real time. The world is full of people and animals who need help, and the Internet is full of information about them. Choose a cause that is important to you, get organized and visit a place where you can do a good deed. You will see a new place, meet new people and feel satisfied all at once. The people you’re helping will feel refreshed and optimistic to see not one but a whole group of people willing to help out. Choose a final destination and split up to hitchhike alone or in teams. The first to arrive wins, the rest – well, their treat. Include an important mission in your trip – to find the most delicious pizza, steak, burger, etc. How to do it: You can create a strict evaluation system including different criteria (taste, aroma, service) and everyone gives a score from 1 to 10. You can divide Rome into neighborhoods and split up to look for the best gelato (ice-cream) until you find it – or catch a cold. Make your trip even more interesting by asking your friends to come up with a challenge. In Brazil – play football with the locals on the beach, take a picture with a toucan, drink coconut water with a straw right from the coconut; in Cuba – have a cigar at the sea boulevard Malecon… Take the list of challenges with you and don’t come back until you’ve completed them all. Trying to fulfill them will introduce you to interesting people and will put you in unexpected situations (tested on a number of occasions by the author of this post). 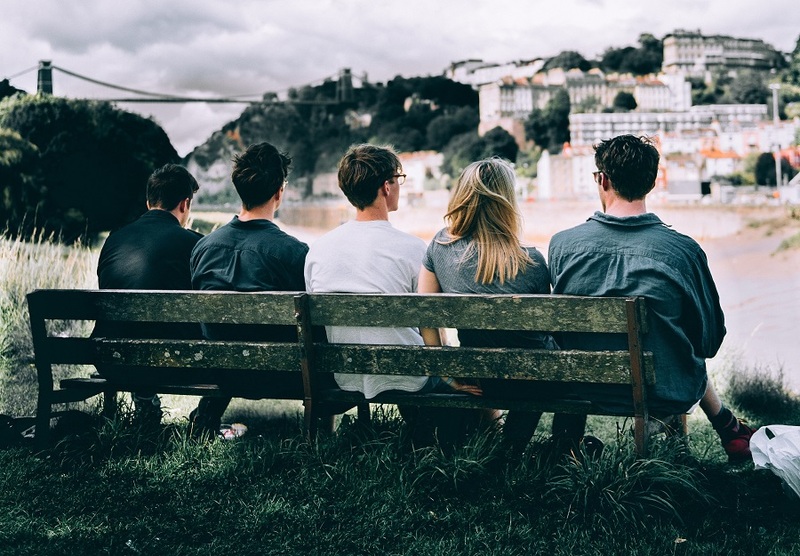 It’s a wonderful tradition which maintains friendships, reminds you to travel and gives you a reason to see your friends more regularly (even when different things in your life separate you for longer periods). You can pick a day that is important to everyone – somebody’s birthday, New Year’s Eve, etc. Organize an unforgettable trip for a friend – for their birthday or just because! Here’s my elaborate guide How to plan a surprise (birthday) trip in less than 30 minutes. Bring something to drink and the ingredients for a recipe to cook together. It’s enough to call and check if your friend is home and if they have a couple of free hours. The rest is a surprise. Choose a means of transport you haven’t traveled with before and see the world differently. You don’t have to buy anything, just hire it for a day. Travel in a group. A couple of ideas: A bike, electric bike, scooter, motorcycle, convertible, carriage, boat. Make videos of yourself, of landscapes or of interesting people you’ve met. Then compile all the videos in one short movie. If you’re very much into it, add the songs you listened to on the road. There are plenty of free and easy to use programs to help you compile movies. Do you enjoy receiving postcards? One of those old-time cardboard postcards you need a stamp for, not an internet connection. The next time you travel to another city or abroad, send a real paper postcard from a real post office. How to do it: Write down your friends’ and relatives’ addresses in advance. Sign the postcards and send them by post. Even if they arrive after you’ve already come back, the gesture will be appreciated. Haha love it, so much inspiration! Love the #14 Visit a friend without being invited 😀 Imagine there was a time where you just showed up! Horror!!! Today we even have to send a message to one’s phone asking if it is okay we call them, hehe. Will share this article! Oh my gosh, I so love this list. It just made me smile the whole time I was reading it. I especially love the idea of bringing a picture of a friend who couldn’t join you. Brilliant! Aah this is the perfect list. It actually brought back lot of memories of weekend trips during my college years, how i miss those friends and the amazing and crazy things we did. Our bus broke down once and we actually had to hitch hike in Indian tuk tuk to catch a train and travel in unreserved compartment! Ha what fun. Great and fun ideas. I love the idea of taking a picture at the same place each year; we’re going to have to start that one. And possibly the friend on a stick too. Signed: Chronic Listmaker (my new trail name). I love the idea of Morning Picnic. Tried and tasted in Bangalore with college buddies so many times. Absolute loved it. Problem is, you grow up and memories stay with you while at time the friends leave 🙁 We had a group who would religiously conduct a trip every year. And now that a couple is separated, the reunions are difficult and remains incomplete. So many great recommendations!! The playlist is espeically important – I love a good road trip singalong! These are the perfect ways to make memories and share the bonds of friendship together, thank you so much! what a great list of fun ideas! I especially like the “use a different transportation way”! I’ve likely done many of these, but the new ones will go in my suggestion list for the next trips. Thanks! I am very excited to go the Ed Sheeran concert this summer. Another friend of mine is not a fan. I am going to use #7 to make her go with me to the concert. So fun! Some really good ideas here. Perfect for our next weekend when my friends and I just hang around and wonder about what to do with our day.